Discussion in 'A Small Circle of Friends: The Music Forum' started by Harry, Oct 27, 2018. 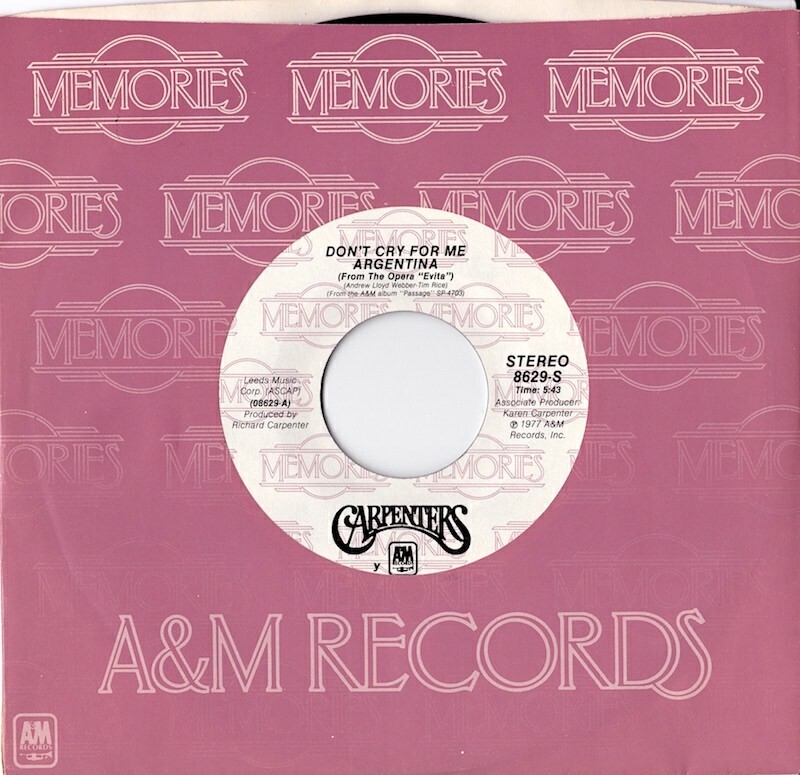 Ed's site inspired me to scan some A&M generic company sleeves that they used for their 45s over the years. These were the six I immediately came up with. I'm not sure if there were some others at this point, but I have a nagging feeling that there are. John Adam and ThaFunkyFakeTation like this. Here is the only other one that I have that's different from the above. The flip side is Calling Occupants it's label says 7:07 running time but it's actually the short edited version. Yeah. I forgot about the Memories and Forget Me Nots. But I was mainly looking for the standard issue sleeves. Thank you Robert! As obsessive as I am about logos and such, I never noticed the difference in the red logos. Speaking of my site, now that I've gotten all the nonsense with it straightened out, may I port these over to it? They're fantastic! You're most welcome Harry That's the exact one I remember most ahhh now that really brings back some memories. I have a picture sleeve with this one that is dated 1977/1980. I've never played it, so what you are saying is I have another single-edit of "Occupants" on the b-side in mint condition, that didn't even know I had! Certainly. I may even have one more later today. Perfect! I've restored the first five already and I'll get on the other ones later today. These are amazing! Thanks so much for putting them up! I think I have a "Forget Me Nots" or two in my stash that I'll scan too as too. The closer to the source I can get, the better. I already have the red & brown one on the site from a Janet Jackson single I have. I think this might have been used on some Canadian singles. It's a good design complementing the silver-label style. I have a feeling you're right about that being a Canadian issue. I remember seeing all the other ones you posted, but I don't remember ever seeing that one. P.S. : Forget Me Nots is coming. I just need a free moment with my scanner. toeknee4bz and Rudy like this. I fixed the A&M utensil sleeve. The sleeve was clearly browned from age so I de-aged it. I also made the record label a little more believably sized. Ah, the things we do when we move too fast. Do you mind if I use this for the site to go with the others Harry gave us? While I do have two "Memories" 45's, both of them are in white sleeves. My others must have gotten mangled over the years. I'm going to try to create a nice label from my own 45 to go with this.